With going green becoming a worldwide phenomenon these days, people are finding benefits to this approach. However, the idea of ‘going green with one’s finances’ hasn’t caught on yet even though these solutions will make a positive impact on the environment and your pocket. Most banks already offer online banking and are also offering customers the option of paperless statements. Not only will you reduce the amount of paper being used but will prevent clutter. Of course, if this hasn’t been done yet by your bank, you can scan the copies and then recycle the paper statements. Considering what you can do with your mobile and a computer, there would be no requirement to use paper anymore. Not only can you check all your information online but you can even file your taxes using smartphone apps. But that’s not all – there are some apps where you can track all your information together, and quite literally, at the click of a button. Another interesting option is that banks offer an online financial portfolio where you can see all your financial information at one location instead of having to visit several websites or order for separate statements for each of them. 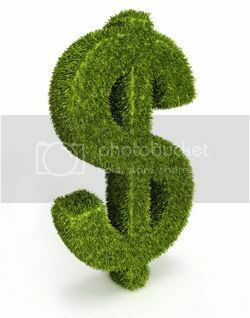 Apart from going green with your bank accounts, you can also go one step further by investing in green stocks. Companies which produce solar panels, hydroelectricity and wind power are some options that are lucrative. However, it’s wise to check with an investment expert before you invest.